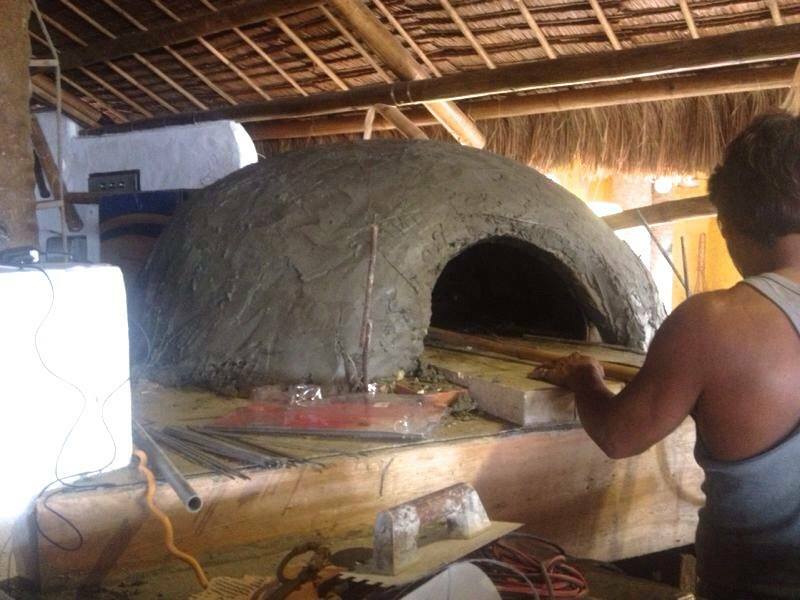 With the utmost desire to give you a wide variety of authentic cuisine, Kokay’s Maldito Dive Resort is now working it’s way to serve you great tasting Italian Pizza made from one of the world’s finest cooking method – the Wood Fired Oven. 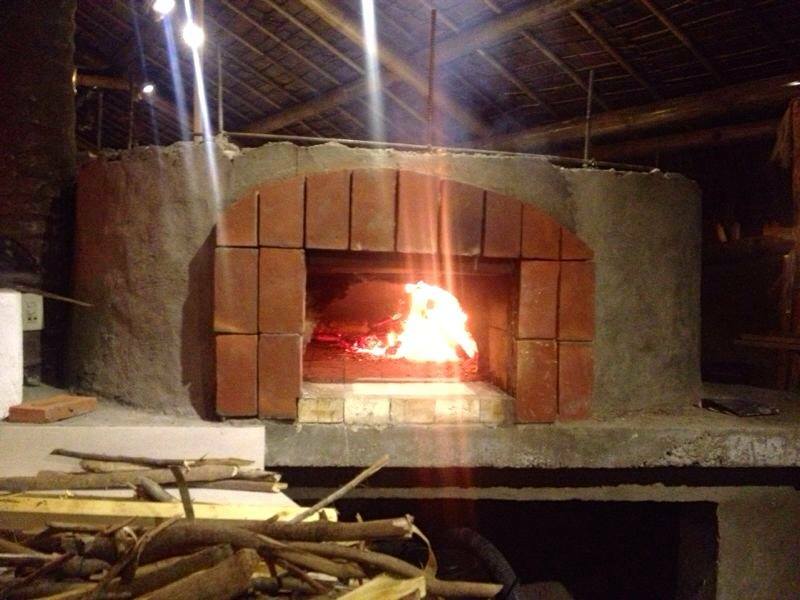 Pizza and wood fired oven have been with us since the first light of civilization. Discoveries of both have been made in the excavations of almost every ancient culture, most specifically, Italy. 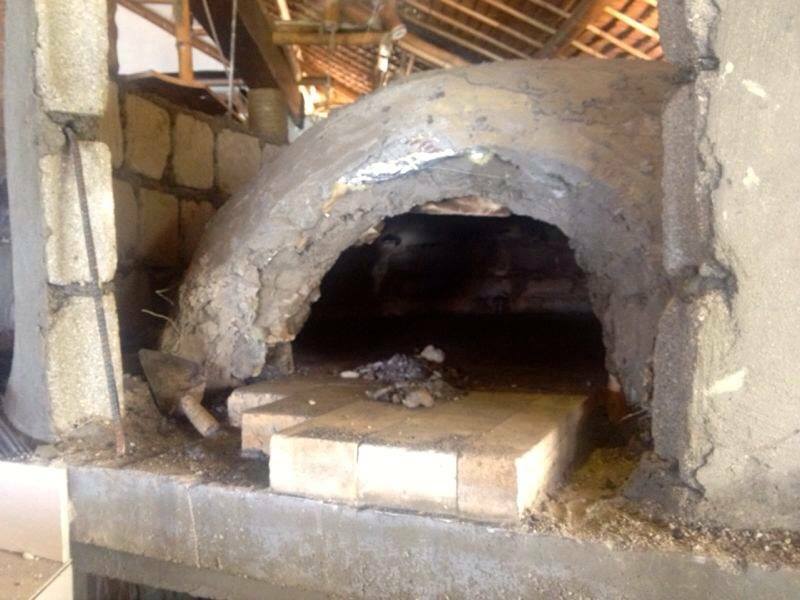 Pizza was born as a poor man’s dish because it only requires simple preparation using the simplest of ingredients, available both now and in ancient times: flour, oil, salt, yeast and a wood fired oven. It was the prosperous arrival of tomato that gave birth to the modern pizza we love today. Then, the historic marriage of tomatoes and mozzarella made it even better. 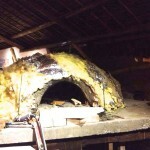 Today, pizza is a very popular dish all over the world. Rich or poor, civilized or uncivilized countries knows how delightful a pizza is. 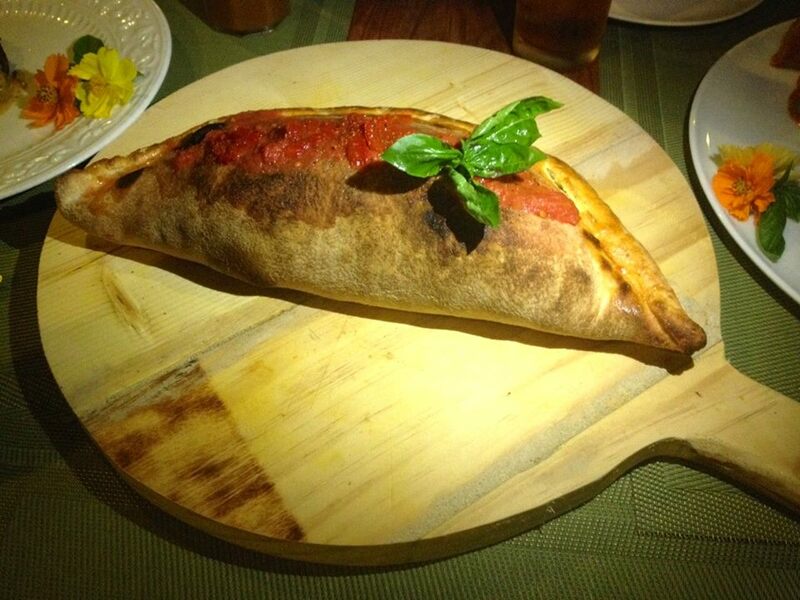 And this we owe to the Italian’s trusted cooking tradition. 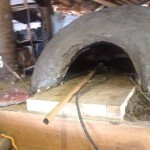 Building a wood fired oven requires logic and innovative thinking. The aspect of fuel efficiency, firing consistency and durability has to be considered. 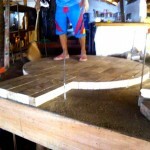 It takes ample time not only to build but to test each of these aspects. 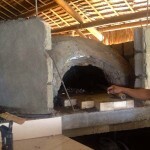 Kokay’s Maldito Dive Resort’s wood fired oven is located inside the restaurant beside the Teppanyaki Grill with a little counter on the side and a sink. 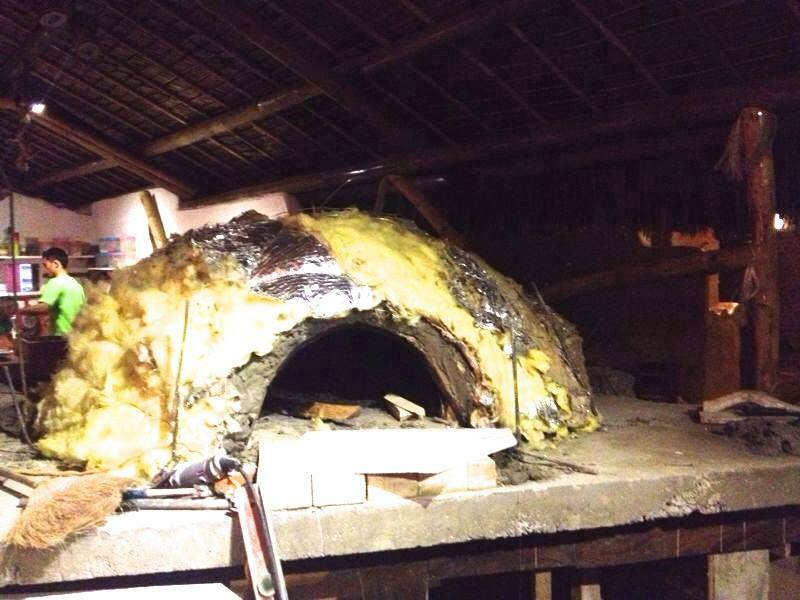 We are making it sure that the safety of our guests and the quality of our pizza is well thought out. There are mainly two types of wood fired oven, the black and the white. 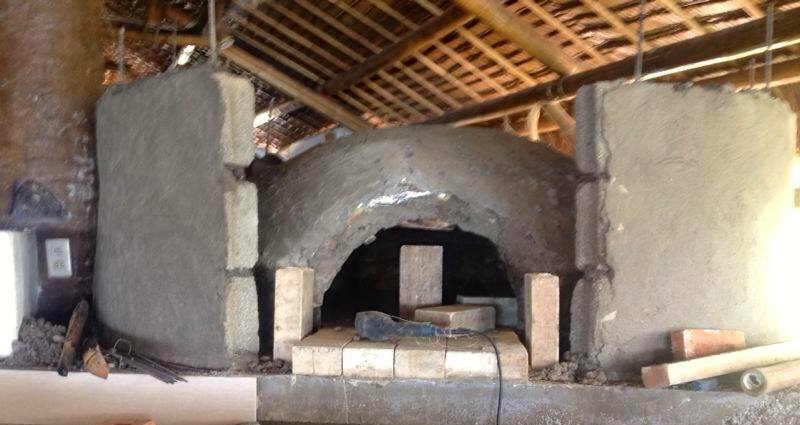 We are currently building the black oven type, where wood is burned inside the chamber and food is cooked in that same chamber while the fire is going or when the chamber is heated. 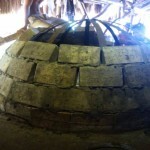 The foundation of the oven was first built, it will also be the firewood storage area. 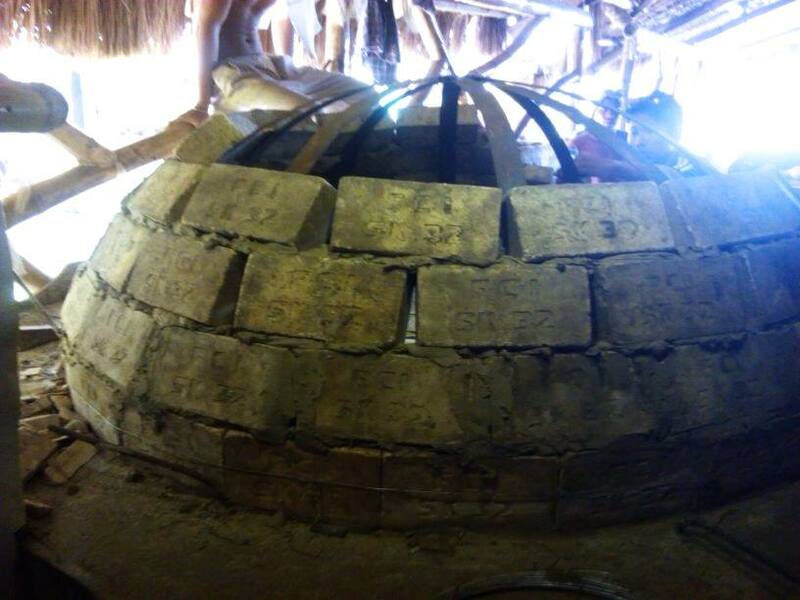 Then, the oven floor and the dome was made, using a pre-formed steel dome, with fire-resistant bricks and mortar. 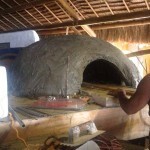 The first layer was done and another layer of ceramic insulation was added. 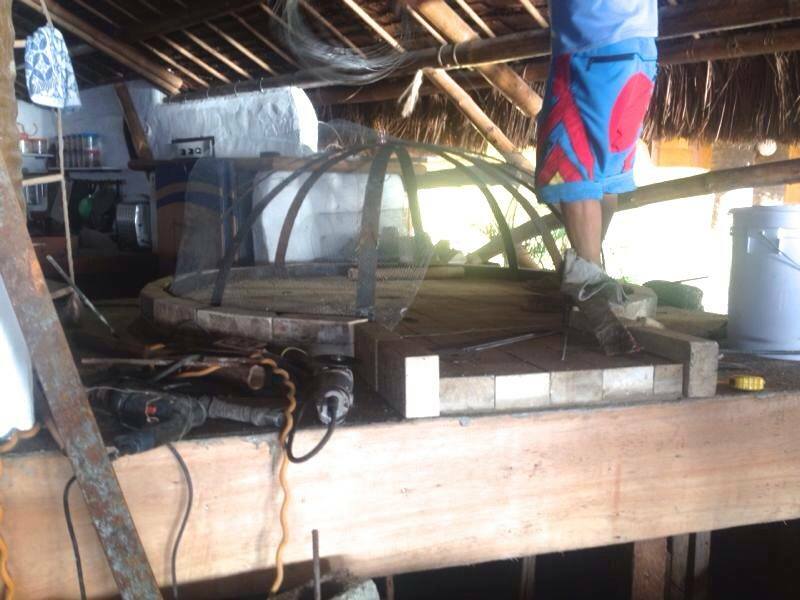 Finishing touch of concrete mix was also put in to smoothen the outside part of the dome. 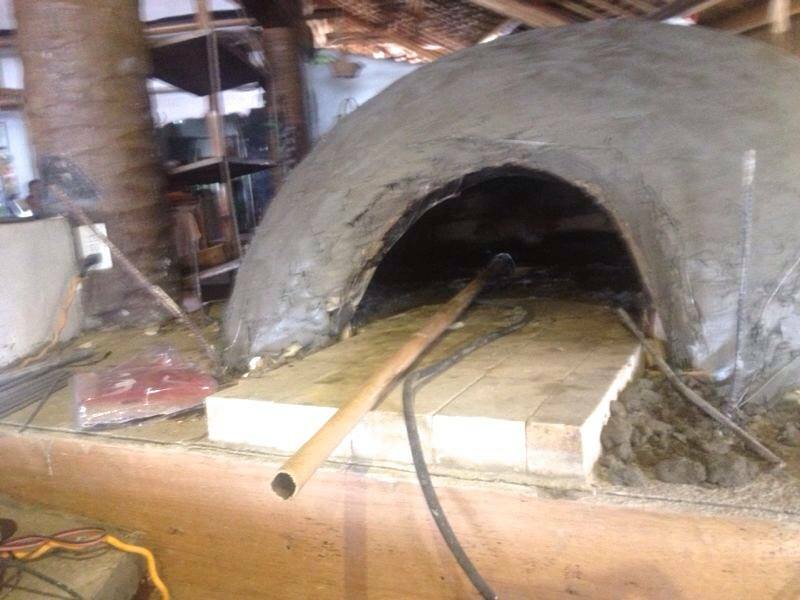 The perfectly engineered wood fired oven is done. 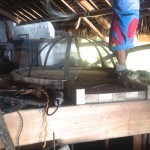 To enclose and maintain the heat of the dome, an exterior wall was also built around it, leaving an area for the opening and giving a room for a steel door to prevent cool air to come in. 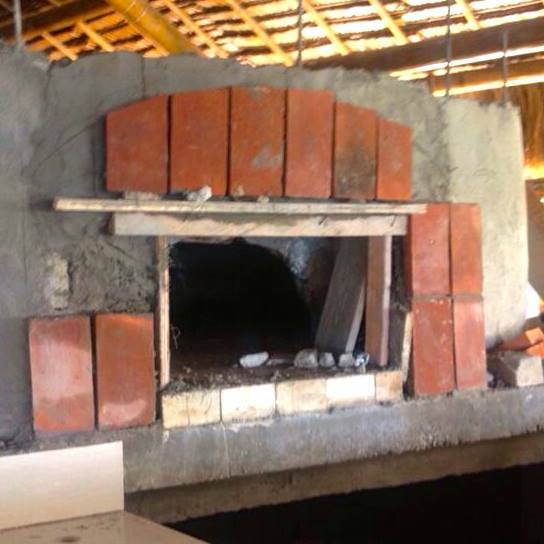 Here is the partially done, Wood Fired Oven specially made for your Italian Pizza and inspired with Italian bricks oven design. Opening view of the partially done wood fired oven, inspired with an Italian bricks oven design. 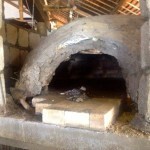 A few tests needs to be performed to ensure safety, durability and efficiency of the oven which requires time for us to complete before putting the oven into operation. 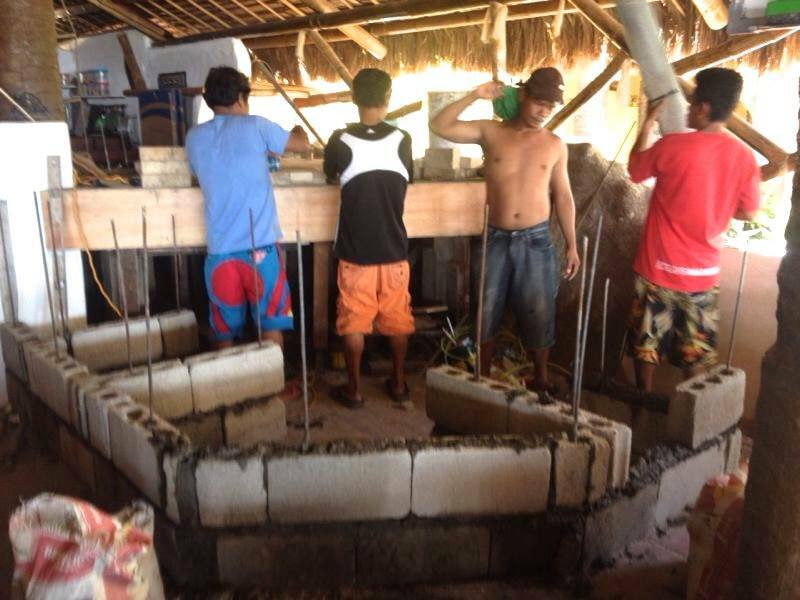 We are expecting everything to be completely done by mid July of this year. 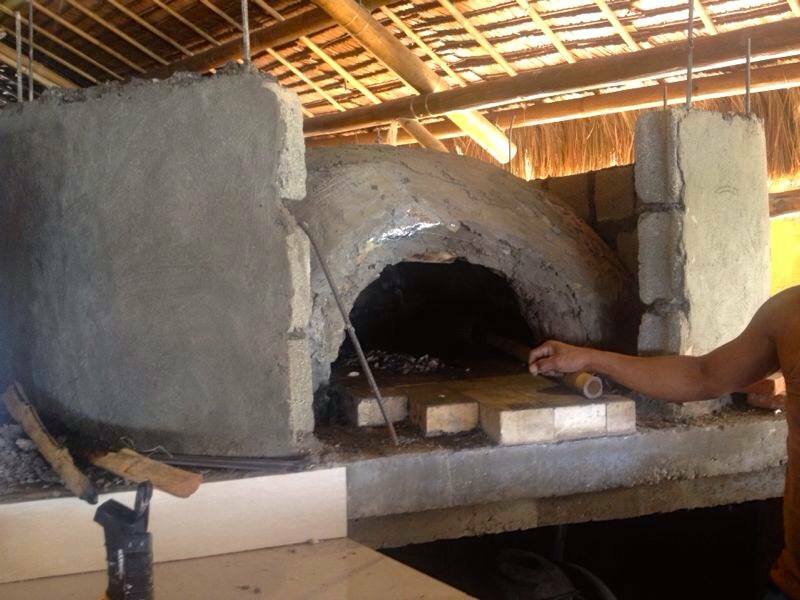 We are very much excited to serve our guests with the best Italian Pizza in Malapascua Island. For now, we are leaving you something to fire you up.. 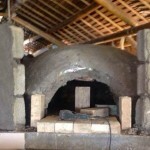 Firing up the newly built wood fired oven. Partially done but looking great! Did it make you think there is a little new under the sun? Absolutely! Fresh from the newly built Wood Fired Oven – Calzone. A test we need to do before giving it to you..
Do you love Pizza? 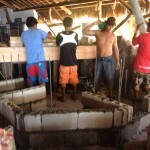 Please feel free to post your comments and suggestions down below concerning the construction process, products and services of the resort. 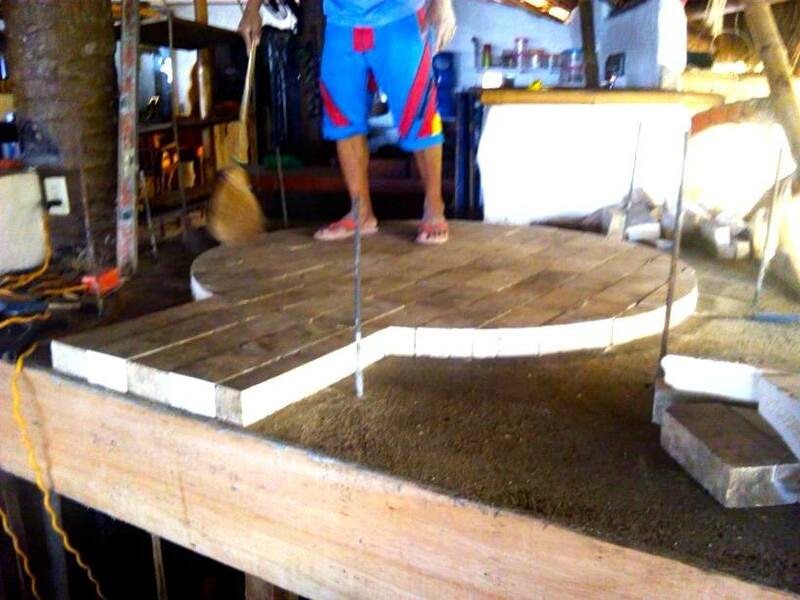 Stay connected for we will be posting some more updates about this innovation soon.